Michael Colin Cowdrey, Baron Cowdrey of Tonbridge, CBE (24 December 1932 – 4 December 2000) played for Oxford University Cricket Club (1952–54), Kent County Cricket Club (1950–76) and the England cricket team (1954–75). Better known as Colin Cowdrey, he "delighted crowds throughout the world with his style and elegance", and was the first cricketer to play 100 Test matches, celebrating the occasion with 104 against Australia in 1968. In all he played 114 Tests, making 7,624 runs at an average of 44.06, overtaking Wally Hammond as the most prolific Test batsman, and taking 120 catches as a fielder, breaking another Hammond record. Cowdrey made 22 Test centuries (an England record until 2013) and was the first batsman to make centuries against the six other Test playing countries of his era; Australia, South Africa, the West Indies, New Zealand, India and Pakistan, making hundreds against them all both home and away. He toured Australia six times in 1954–55, 1958–59, 1962–63, 1965–66, 1970–71 and 1974–75, equalling Colin Blythe's record, and in his last Test fans hung out a banner 'M.C.G. FANS THANK COLIN – 6 TOURS'. In the First Test at Edgbaston in 1957 Cowdrey added 411 runs in 511 minutes with Peter May against the West Indies, the third highest stand in Test cricket at the time, the highest for the fourth wicket until 2009, the highest stand for England, and the highest stand against the West Indies. His highest first class score was 307 against South Australia on the MCC tour of Australia in 1962-63, the highest score for the Marylebone Cricket Club overseas and the highest by a tourist in Australia. Cowdrey was awarded a CBE in 1972, knighted in 1992, ennobled in 1997, and posthumously inducted into the ICC Cricket Hall of Fame in 2009. He is the fourth (and so far the last) sportsman to be honoured with a memorial service in Westminster Abbey, following Sir Frank Worrell, Lord Constantine and Bobby Moore, and the MCC Spirit of Cricket Cowdrey Lecture was inaugurated in his memory. Cowdrey's father, Ernest Arthur Cowdrey, played for the Surrey County Cricket Club Second XI and Berkshire County Cricket Club in the Minor Counties, but lacked the talent to enter first class cricket and his father made him join a bank. Ernest Cowdrey had been born in Calcutta, moved to India to run a tea plantation and played the 1926–27 MCC touring team for the Madras Europeans XI and top scored with 48. His mother, Molly Cowdrey (née Taylor), played tennis and hockey. Michael Colin Cowdrey was born on his father's tea plantation at Ootacamund, Madras Presidency, although his birthplace was usually misrecorded as Bangalore 100 miles to the north. His father made an application for him to join the prestigious Marylebone Cricket Club while still an infant. Cowdrey had no schooling in India, but his father and servants taught him cricket as soon as he could walk. When Cowdrey was five he was taken to England and attended Homefield Preparatory School, Sutton in 1938–45, where the headmaster Charles Walford instilled in him the purity of batting technique that would become Cowdrey's hallmark. Cowdrey made a century in his first game for the school, but a recount made it only 93 and Jack Hobbs sent him a letter of commiseration and a cricket bat. His parents returned to India in 1938 and because of the Second World War he did not see them again until they came back to Britain in 1945. During the holidays he stayed with relatives in Croydon and Bognor Regis, where he watched dog-fights in the Battle of Britain and on his uncle's farm near Market Bosworth. In 1945 he went to Alf Gover's Cricket School for three weeks and his father enrolled him at Tonbridge School where he could qualify for Kent, Gover telling the Tonbridge coach Ewart Astill that Cowdrey should join the First XI immediately, a rarity for first year pupils. In the team trial match he was 4 years younger than the other boys, but took 17 wickets with his leg spin and became an established part of the team. Still only 13 in July 1946 he became the youngest player to play at Lord's, for Tonbridge against Clifton, making 75 and 44 and taking 3/58 and 5/33 to win the match by two runs. Tonbridge later established the Cowdrey Scholarships for sporting excellence in his memory. Cowdrey was asked to play for Kent Young Amateurs in 1948 and made 157 against Sussex Young Amateurs, 87 against Middlesex Young Amateurs and 79 against Surrey Young Amateurs. He was asked to join the Kent Second XI in 1949 and played Norfolk, Wiltshire and Devon. In 1949–1950 Cowdrey was made the school cricket captain and in 1950 made 126 not out for Public Schools against the Combined Services at Lords. This was followed by being called up for Kent County Cricket Club while still only 17 and he made 15 and 26 on his first-class debut against Derbyshire. Cowdrey made his first first-class century in 1951, 143 for the Free Foresters vs Oxford University, soon followed by 106 for the Gentlemen vs Players at Scarborough, captained by Len Hutton with Alec Bedser leading the bowling. After the match the Yorkshire captain Brian Sellers told him "If you are not playing for England and on that boat to Australia there'll only be one person to blame". He made 1,189 runs (33.02) in the 1951 season and was awarded his county cap by captain David Clark after making 71 against the touring South Africans, at 18 the youngest man to be capped by Kent. Cowdrey won a Heath Harrison Exhibition award and a place at Brasenose College at Oxford University to study geography in the autumn of 1951. He played for the Oxford University Cricket Club in 1952 and 1953 at the start of the season and the rest of the summer for Kent. He made 50 and 57 for the Gentlemen vs the 1953 Australians at Lords. In 1954 he captained Oxford University and was a surprise choice for the MCC tour of Australia, replacing Willie Watson. Len Hutton later told him that his selection was a gamble, but it was thought that his technique would be good on the hard Australian wickets. At 21, Cowdrey was the youngest man in the side and the schoolboy photographs used in the brochures made him appear younger. He had yet to make a century in the County Championship, go on tour or play a Test, though he was made twelfth man for the Fourth Test against Pakistan and fielded for 20 minutes, but was so nervous he could barely watch. The MCC team was seen off by family, friends and well-wishers on the ’’Orsava’’. Cowdrey's parents came to see him off and Len Hutton assured them that he would look after the young player. They were not the only well-wishers to see him off. Frank Tyson saw "a spare, stooped old man, dressed immaculately in a pin-stripe suit" telling the Cowdrey "When you reach Australia, just remember one thing – Hate the Bastards!". He spoke with such vehemence that Tyson asked George Duckworth who the old gent was, "That was Douglas Jardine", a fellow Oxford University man who had come down especially to see Cowdrey. Soon after the voyage began Cowdrey and Tyson were warned by the captain Len Hutton that they were secondary players who were expected to play little part in the Test matches, but in the end their efforts would prove decisive in England's victory. They traveled first class on the Orsova which took six weeks to arrive in Western Australia, after stopping for a one-day game against Ceylon, where Cowdrey made 66 not out. On their arrival in Perth Cowdrey received a telegram that his father had died, "but soldiered on, thanks to the advice and encouragement of his young teammate Peter May and father figure and captain Len Hutton". Hutton made a small bet that Vic Wilson, a strapping Yorkshire farmer who could hit the ball many a mile, would score more Test runs than Cowdrey on the tour (a wager he lost). On their arrival in Perth the MCC played a local Western Australian Country XI and Cowdrey made 48 not out and took 4/35 with his leg-spin. Against New South Wales Cowdrey had to rescue the innings with Hutton (102). He made a sweetly timed 110 as they added 163 together, but no other batsman exceeded 11 and the team was out for 252. In the second innings Cowdrey opened with Vic Wilson as Hutton tried out potential openers. Wilson was out for a duck, but Cowdrey made another hundred (103), but only Hutton himself (87), batting at number 6, gave him any help. The MCC were out for 327, Cowdrey and Hutton making 402 of the 577 runs scored, the other 9 batsmen making 117 in two innings. Cowdrey bowled again and went for 38 runs off 3 overs while doing impressions of the Australian fast bowlers Ray Lindwall and Keith Miller. With a pair of centuries against the strongest state side in Australia Cowdrey was called up for his debut in the First Test at Brisbane, even though he made 4 and 0 against Queensland. Hutton put Australia in to bat and saw them pile up 601/8. The only good news was that Cowdrey took the first of his record 120 Test catches to dismiss both Australian openers Les Favell and Arthur Morris. When England finally got to bat on the third day they promptly collapsed to 25/4, but Cowdrey made 40 and added 72 for the 5th wicket with Trevor Bailey. This did not prevent the follow on, where Cowdrey made 10, and England lost by an innings. In the Second Test at Sydney Australia had a first innings lead of 74 and England had collapsed to 55/3 when Peter May (104) and Cowdrey (54) came together and made a disciplined stand of 116 "every run a precious inch of ground won back at a moment when the Ashes seemed to have receded almost out of sight...the recovery was shaped by batsmanship of a classic method executed by two young men". This allowed "Typhoon Tyson" to bowl England to a thrilling 38 run victory to even the series. Bill O'Reilly, not an easy man to impress, said it was the best Test innings he had ever seen and aged only 22 Cowdrey was the youngest Englishman to make an Ashes century since Jack Hearne on the same ground in 1912. Although Cowdrey would make 22 Test centuries they would all be measured against the yardstick of his Melbourne hundred; "his driving, concentration and command were all faultless ... a tribute to his wonderful ability". As Frank Tyson recalled, "Runs did not flow; they were grafted from a pitch which kept the batsman hopping around as delivery after delivery tickled their ribs. Colin was icily superb. For four hours his concentration never wavered...he stroked the ball through the cover and mid-wicket gaps in the field. Shooters became more frequent, but Colin dug them out. When I joined him at the wicket he was a run short of his maiden Test century: a goal he achieved with a scampered single. If he ever scored a better hundred I hope that I am there to see it". Cowdrey made 102 of England's first innings of 191 and once again this was enough for Tyson to bowl his team to victory as the tourists took a 2–1 lead in the series. The Fourth Test at the Adelaide Oval saw Australia make 323, their highest innings since Brisbane, which England overtook thanks to Cowdrey (79) adding 99 with Hutton (80) and 70 with Compton (44). Australia was bowled out cheaply in the second innings, but Cowdrey was hit in the face by the ball, which gave him a bruised nose and eyes. He was out for 4 in England's run chase, but their five wicket win was enough to win the series 3–1 and retain the Ashes. Cowdrey spent five days in hospital, but still played in the Fifth Test back at Sydney and was caught behind by Len Maddocks off Ian Johnson for a first ball duck to end the series with 319 runs (35.44). After Australia the team proceeded to New Zealand, but Cowdrey made few runs in a low scoring series in which England easily won both Tests. On his return from Australia, Cowdrey decided to drop out of Oxford so he could concentrate on his career with Kent and England. No longer an undergraduate he was called up for national service, but discharged after two weeks in the Royal Air Force due to a hereditary disability of rigid toes on which he previously had an operation. This caused some controversy as he promptly made 44, 101, 5, 139, 48, 44, 115 not out and 103 not out, hardly the scores of an invalid. The press suggested that strings had been pulled on his behalf and questions were asked in the House of Commons by Gerald Nabarro MP, though he apologised after the true facts became known. Cowdrey received hate mail from the parents of national servicemen, and took great care to answer them personally. He was called up for the Third Test against South Africa, but was battered by the fast bowlers Peter Heine and Neil Adcock making 1 and 50, which he considered to be the worse bruising of his career and Cowdrey pulled out of the series rather than add to his injuries. England beat Australia 2–1 to retain the Ashes, thanks mainly to Jim Laker's 46 wickets. Cowdrey made only 244 runs (30.40), though he had a successful opening partnership with Peter Richardson. They added 53 and 151 (Cowdrey 81) in the First Test at Trent Bridge and 174 (Cowdrey 80) in the Fourth at Old Trafford. This was the Test where Laker took 19/90 and Cowdrey took a catch to give Tony Lock his only wicket. Cowdrey became unaccountably obsessed with defence. His introspective nature made him over-receptive to sterile theory, such as playing with the pad; and lack of self-confidence prevented him from breaking out of his chains. "There were moments," wrote Alan Ross after watching him bat against South Africa at Cape Town in 1957, "when one wanted to send him out a double Scotch and instruct him to take the cotton wool off his bat and really hit it". The generosity of the white South African hosts towards the MCC team was almost their undoing Cowdrey remembering "If we were not actually killed by kindness we were certainly reduced to something well short of the fitness that a Test team must maintain ... Our standards dropped alarmingly. It was not fatal at the time for in 1956 South Africa did not have the cricketing resources to expose our indulgence". It was enough to turn a 2–0 lead for the tourists into a 2–2 draw against Clive van Ryneveld's energetic team. The all-rounder Trevor Bailey opened the innings with Peterson and Cowdrey returned to batting at number 5, where he made 331 runs (33.10). He made 59 and took three catches in the First Test at the New Wanderers in Johannesburg and made his second Test century – 101 in 369 minutes – in the Second at Cape Town, which England won by an innings, and batted for 200 minutes making 55 in the second innings of the Fourth back at Johannesburg when Hugh Tayfield took 9/113 in South Africa's 17 run win. In 1950, the spinners Sonny Ramadhin and Alf Valentine had confounded the England batsmen to give the West Indies a 3–1 series win. Ramadhin still exerted his hold, taking 7/49 to dismiss England for 186 in the first innings of the First Test at Edgbaston. The West Indies made 474 and Cowdrey joined Peter May at 113/3 in the second innings, still 175 runs behind. May wrote of Cowdrey's "steadying influence on me when I was charging down the wicket and trying to hit everyone into the car park. I recall he calmed me down and said occupation of the crease was the vital requirement!" Cowdrey ruthlessly padded away any ball from Ramadhin outside off stump, where he could not be given out leg before wicket. "It was typical of Cowdrey that he should work out the theory so punctiliously", but his tactic became popular with less talented batsmen to the complaints of purists and detriment of the game. May made 285 not out and Cowdrey 154, his first Test century in England, and together they added 411 runs in 511 minutes, the third highest stand in Test cricket at the time, the highest for the fourth wicket until 2009, the highest stand ever made for England and the highest stand against the West Indies by any team. Ramadhin was forced to bowl a heart-breaking 98–35–179–2, the most overs by a bowler in a first class innings and was never the same force again. May declared on 583/4, setting the West Indies 286 to win in 60 overs and they narrowly avoided defeat, ending the match on 70/7. After this England won three Tests by an innings to take the series 3–0, with Cowdrey making back to back centuries with his 152 in the Second Test at Lords after coming in at 34/3, 55 in the Third at Trent Bridge and 68 in the Fourth at Headingley. He finished with 435 runs (72.50), the first time he had averaged over 36 in a Test series. This was the year that he took over from Doug Wright as the captain of Kent with Les Ames as the manager, although it would be ten years before the county reaped the rewards. There was no tour in 1957–58. In 1958, New Zealand lost 4 Tests by large margins and survived a rain-soaked draw at the Oval. Cowdrey failed to score a century, but made 241 runs (60.25). He made 80 and 71 in the First Test at Edgbaston, 65 in the Second at Lords, did not bat in the Third at Headingley (May declared at 267/2 and England won by an innings), was unfit for the Fourth and made 25 in the Fifth at the Oval. Cowdrey replaced Trevor Bailey as Peter May's vice-captain for the tour of Australia. He was not confident that he could lead the veteran England team in May's absence, but this was Bailey's last tour and Cowdrey needed to be tested as a future England captain. The disastrous 1958-59 Ashes series began well enough with Cowdrey scoring of 65 not out, 78 and 100 not out against the state teams, but when deputising as captain Cowdrey was run out by Ian Huntington after he stepped forward after an lbw appeal. Later on the tour he struck 101 runs in 84 minutes with 10 boundaries to win a jovial match against the Prime Minister's XI by four wickets. England lost the first two Tests, but Cowdrey's 100 not out saved the Third Test at the Sydney Cricket Ground, adding 182 with May (92) and spending 80 minutes in the 90s. Cowdrey's 84 could not save the Fourth Test at the Adelaide Oval, and he was bowled by the 'Blond Giant' Gordon Rorke, whose seven foot stride and his long drag took him three yards down the wicket before he released the ball, and Cowdrey joked "I was frightened that he might tread on my toes". The Fifth Test saw Cowdrey in fine form with seven boundaries in his 44, but he was run out when he trotted in for a single, even though the umpire was unsighted by the wicket-keeper Wally Grout. Cowdrey took strike again unaware of his dismissal until he was asked to depart. England lost the Test as Australia recovered the Ashes 4–0. Cowdrey made only 20 runs (10.00) in the follow up tour of New Zealand, which England won 1–0. India were the tourists in 1959 and were whitewashed 5–0 by the home team, thanks to the fine bowling of Fred Trueman and Brian Statham and plenty of runs from the England batsmen. Cowdrey made 344 runs (57.33) with 34 and 63 not out in the Second Test at Lords, 160 in the Third at Headingley and 67 in the Fourth at Old Trafford. I scored 114 in the first innings and 97 in the second. I will not claim that the first innings was a particularly good one, as it took me almost seven hours. But neither would I pretend that it was not immensely satisfying. I took ball after ball, blow after blow on that improvised body-shield but was able to stand firm...The second innings was the best I ever played. From the firm foundations of real confidence I was able to get after the bowling and repay Hall, particularly, for some of the anguish he had caused me. I had one glorious hour against him...I hooked him twice in a row and reduced him to the kind of despair which, but a fortnight earlier, had been exclusively mine. After the poor tour of Australia the previous year a revamped England team was taken to the Caribbean under the management of the forthright Walter Robins. Cowdrey was roped in to open the innings with Geoff Pullar as May thought he was the best player of fast bowling. Even though it was not to Cowdrey's liking he made 491 runs (54.55) and two centuries. England won the Second Test by 256 runs despite play being held up by a riot, but May suffered an internal injury and had to go to hospital every morning before play. May soldiered on, but Cowdrey knew he would soon be in charge and was so affected by nerves before the Third Test that he "would have given anything not to have played". To face the fast bowlers he wore rubber padding sewn into his shirt and recovered to make 114 and 97 despite Wes Hall taking 7/69 in England's first innings of 277, no one else making over 30. May had to fly home for treatment (and was unfit to play for 18 months) so Cowdrey took charge in the Fourth Test, winning the toss and top scoring with 65 in England's 295 as Hall took 6/90. The West Indies overtook this with 402, but Ted Dexter (110) and Raman Subba Row (100) saved the match. In the Fifth Test Brian Statham flew home to his sick son, but Cowdrey won the toss and again chose to bat, top scoring with 119 in England's 393. Trailing 1–0 the West Indies needed a win to even the series and Gerry Alexander declared at 338/8 to force a result. Cowdrey was out for a duck and England were 148/6 before they were saved by M.J.K. Smith (96) and Jim Parks (101). Cowdrey declared at 350/7 leaving the West Indies 406 to win in 52 overs and their 209/5 gave England their first series win in the West Indies. Even so, Robins publicly upbraided Cowdrey for not making an earlier declaration to make an exciting finish. Peter May required several operations and did not play in the 1960 season, but he was expected to return and Cowdrey was only made captain of England against South Africa as each game came up, rather than for the whole series. Even so, it was the first of only two occasions that Cowdrey captained England throughout a Test series. It proved to be an easy 3–0 win as the inexperienced Springbok side met a damp English summer and lost the first three Tests by 100 runs, an innings and 73 runs and 8 wickets. In the Third Test the South African captain Jackie McGlew was run out after colliding with an English fielder, the umpires did not allow Cowdrey to call him back and he was widely blamed for not withdrawing the appeal before McGlew left the field. In the Fifth Test England were dismissed for 155, saw South Africa make 479/9 declared and were criticised by Walter Robins, the new Chairman of Selectors. In response Cowdrey made 155 and added 290 for the first wicket with Geoff Pullar (175) to save the match. May returned in 1961 and was expected to take back his captaincy, but declared himself unfit. Cowdrey was hurriedly brought to Lords and was told he would take over only a few days before the First Test. Although Richie Benaud had beaten England 4–0 in the last Ashes series the 1961 Australians were considered to be the weakest sent to England with Benaud and Alan Davidson struggling with injuries and many players unused to English conditions. 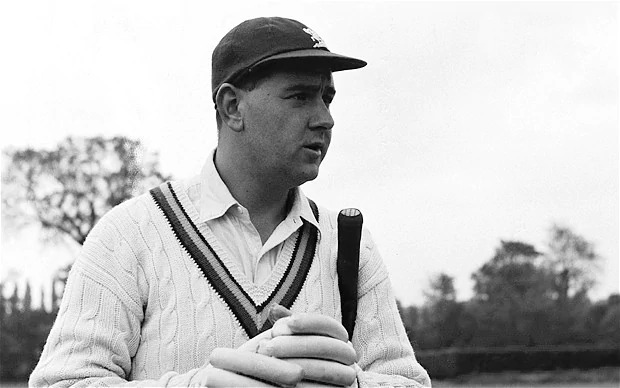 They nearly upset England in the First Test at Edgbaston, leading by 321 runs in the first innings and Ted Dexter had to save the game with an innings of 180. Before the Second Test at Lords Cowdrey made 149 and 121 for Kent against the tourists and was 7 runs from victory when the game ended. May returned to the England team, but insisted that Cowdrey be captain despite pressure from the selectors. Benuad was unable to play, but the Australians under Neil Harvey rose to the occasion, Davidson taking 5/42 in the first innings, Bill Lawry making his maiden Test century of 130 and Garth McKenzie taking 5/37 to clear up the second innings in their 5 wicket victory. May agreed to lead England in the Third Test at Headingley and Cowdrey made 93 and 22 in a low scoring match as Fred Trueman took 11/93 to even the series. Cowdrey missed the Fourth Test at Old Trafford with a fever, where Australia won a nail-biting match to retain the Ashes. May thought England would have won if Cowdrey had played, even if he wasn't fit, but he returned for the drawn Fifth Test at the Oval. The Ashes series had been a disappointment and Cowdrey decided to miss the tough tour of India and Pakistan, which was led by Ted Dexter. He lost to India 2–0, but beat Pakistan 1–0 and made 712 Test runs (71.20) on the tour, including his highest Test score of 205. May returned to play for Surrey, but refused to play for England and retired from cricket after a few games in 1963. When Pakistan toured England in 1962 Dexter was made captain for the First Test, winning by an innings and 24 runs (Cowdrey making 159) and the Second Test, which was won by 9 wickets. Cowdrey replaced him in the Third Test as the selectors considered their options for the forthcoming tour of Australia and he won by an innings and 117 runs. When Cowdrey was made captain in the final Gentleman v Players match at Lord's it looked like he would be chosen, but he was forced to withdraw because of kidney stones and Dexter was put in charge. However, he found a new rival in the old Sussex captain the Reverend David Sheppard, who was willing to take a sabbatical from his church mission in the East End in order to tour Australia. Sheppard made 112 for the Gentlemen and was chosen for the tour, but Dexter was confirmed as captain for the last two Tests against Pakistan and the forthcoming tour of Australia and New Zealand with Cowdrey as vice-captain. Cowdrey recovered to open the batting in the Fifth Test and make his highest Test score of 182, adding 238 with Dexter (172) and ending the series with 409 runs (81.80). The tour manager Bernard Fitzalan-Howard, 16th Duke of Norfolk joined the team with three of his daughters and announced "You may dance with my daughters. You may take them out and wine them and dine them, but that is all you may do", though years later Cowdrey would marry the eldest, Lady Anne. Cowdrey had a poor start to the tour and made three successive ducks, which Jack Fingleton blamed on his fondness for golf. However, Cowdrey made the highest score of his career against South Australia on Christmas Eve (his birthday). He caressed his way to 307 in 369 minutes and beat Frank Woolley's 305 not out against Tasmania in 1911–12 as the highest score by a tourist in Australia and it was the highest first class score in Australia for 18 years. Cowdrey added 103 runs with David Sheppard (81), 98 with Ken Barrington, then stroked 344 runs with fellow stylist Tom Graveney (122 not out), striking 4 sixes and 29 fours, until he was out and Dexter declared on 586/5. Fresh from his triumph at Adelaide Cowdrey made his only century of the series in the Second Test at Melbourne after joining Dexter at 19/2. They withstood Alan Davidson's burst of speed, but the other bowlers failed to trouble them and by stealing quick ones, twos and threes they rebuilt the innings. Dexter was out for 93, but the stand had made 175 runs and Cowdrey made 113, his third and highest century in Australia, but the celebrations were short lived as he hooked into the hands of Peter Burge off Garth McKenzie. In the second innings he took 30 minutes to score after being dropped off his first ball, but made 52 not out and hit the winning runs to give England a 1–0 lead. Despite Cowdrey's first innings of 85, Australia won the Third Test to level the series and keep the Ashes, as the final two Tests were drawn. He finished third in the averages with 397 runs (43.77). The tour continued in New Zealand where Cowdrey made 292 runs (146.00) in the three Tests, which England won 3–0. Cowdrey made 86 in the First at Auckland, 128 not out in the Second at Wellington and 43 and 35 not out in the Third at Christchurch. The 128 not out at Wellington made him the first batsman to make a century against six countries, having already made hundreds against Australia, South Africa, the West Indies, India and Pakistan. He made an unbeaten stand of 163 with the wicket-keeper Alan Smith (69 not out) which was a Test record for the 9th wicket until beaten by Asif Iqbal and Intikhab Alam, who made 190 for the 9th wicket against England at the Oval in 1967. In 1963 Frank Worrell led an exciting West Indies team on their tour of England. They won the First Test at Old Trafford by an innings, with Cowdrey being bowled round his legs by Hall for 4 after swaying away from a delivery which kept lower than he expected. The Second Test at Lord's was one of the best he played in. Fred Trueman took 6/100 and Cowdrey three catches to dismiss the tourists for 301 and the captain Ted Dexter thrashed Wes Hall and Charlie Griffith round the ground for 70 off 75 balls in England's reply of 297. Dexter couldn't field due to an injury taken when batting so Cowdrey led the team and took 3 more catches as Trueman took 5/52 and the West Indies' 229 relied almost entirely on Basil Butcher's 133. Needing 234 to win England were reduced to 31/3, but had recovered to 72/3 when Cowdrey fended a bouncer from Hall off his face and broke his wrist, retiring hurt on 19. Ken Barrington (60) and Brian Close (70) took England to the verge of victory and when Derek Shackleton was run out in the last over they were 228/9, needing five runs to tie, six runs to win, one wicket to lose or to survive two balls for a draw. Cowdrey returned to the crease with his arm in plaster and stood at the non-striker's end while Dave Allen blocked the last two balls for a draw. England won the Third Test, but lost the series 3–1 and Cowdrey was unable to play for the rest of the season. England was to tour India and Pakistan again and Cowdrey was asked to captain the tour, but declined as his arm had not fully healed. Ted Dexter also took a rest and M.J.K. Smith led the team, which soon ran into difficulties as illness and injury reduced them to ten men and they considered calling up the broadcaster Henry Blofeld. Cowdrey was contacted by Lord's to recommend a replacement batsman and as the batsmen he would have suggested were contracted to play in South Africa he volunteered to join the team himself. On arrival he was immediately chosen for the Third Test without any match practice (this happened again in Australia in 1974–75), but took three catches and made 107 and 13 not out for a draw. He made 151 in the Fourth Test and 38 in the Fifth to end with 309 runs (103.00) and England survived the series 0–0, the first full Test series which England drew all their matches, but the third time India had managed this. Dexter was back in charge in the rain-soaked 1964 Ashes series. Cowdrey played in the First and Second Tests, making 32, 33 and 10, but was injured and England lost the Third Test and with it the series 1–0. Cowdrey returned for the Fifth Test to make 20 and 93 not out, finishing with 188 runs (47.00). More importantly he took the catches for Fred Trueman's 299th and 300th Test wickets. In the County Championship Cowdrey's captaincy and his long term plans with Les Ames were starting to pay off as Kent moved up to 7th place. Dexter declared himself unavailable for the 1964–65 tour of South Africa as he contested the Cardiff South East seat in the 1964 General Election. Cowdrey did not tour, though he did go to the West Indies with the International Cavaliers, and Mike Smith was made captain, though Dexter joined him as vice-captain after losing to Jim Callaghan. After his 1–0 victory in South Africa Smith was retained as captain and as Dexter broke his leg while parking his car Cowdrey was made vice-captain again. He made 85 in the First Test against New Zealand, 119 in the Second and 13 in the Third as England easily won the series 3–0. South Africa were a tougher prospect with Graeme Pollock making 125 in the Second Test at Trent Bridge and his brother Peter Pollock taking 10/87, Cowdrey came in at 63/3 and made 105 of the 142 runs added while he was at the crease, but it was the only time England lost a Test in which he made a century. He made 58 and 78 not out in the Third Test and 327 runs (65.40), but South Africa won 1–0, their last Test series against England for 29 years. Cowdrey took Kent up to 5th place in the County Championship, compared with 7th in the previous season. Though Cowdrey still had his supporters at Lords Smith was kept as captain for the 1965-66 Ashes series with Cowdrey as vice-captain, but they knew each other as schoolboys and Oxford undergraduates and got on well. Cowdrey was ill for most of December and missed the First Test. He made 104 in the Second Test at Melbourne, where England made 558, their biggest total down under since 636 in the Second Test in 1928–29. He did little on the tour except to make 63 and 108 against the weak Tasmanian attack and the series was drawn 1–1 with the batsmen on both sides scoring heavily. Cowdrey himself made 267 runs (53.40), his best batting average in an Ashes series. Carrying on to New Zealand Cowdrey made a duck in the First Test, but recovered with 89 not out in the Second and 58 in the Third which made him the fifth player after Wally Hammond, Don Bradman, Len Hutton and Neil Harvey to make 6,000 Test runs, but the rain affected series was drawn 0–0. Mike Smith was kept as captain for only the First Test of the 1966 series against a West Indian side held together by the superb all round skills of their captain Gary Sobers. Sobers won the toss at Old Trafford, batted first and caught England on a spinning wicket for an innings victory, Cowdrey making 69 in the debacle. Smith was dismissed as captain and dropped from the side due to his well-known weakness to the West Indian fast bowlers. Cowdrey was placed in charge, which he accepted reluctantly due to the shoddy treatment of his friend and predecessor. In the Second Test at Lords England were 86 runs ahead in the first innings with the West Indies 95/5 when Sobers and his cousin David Holford added 274 to save the game. Cowdrey was criticised for not surrounding Sobers with fielders at the beginning of his innings, but he maintained that by spreading the field he encouraged him to make the strokes which could have got him out, but there was little doubt that the plan failed. In the Third Test at Trent Bridge Cowdrey came in at 13/3 and made 96, adding 169 with Tom Graveney (109) to give England a 90 run lead, but Basil Butcher made 209 not out in the West Indian second innings and they won by 139 runs. The Fourth Test at Headingley saw the tourists rattle up 500, enforce the follow on and win by an innings and 55 runs. Like Smith Cowdrey was removed from the captaincy and dropped from the team, to be replaced by the hard-headed Yorkshire captain Brian Close. In an amazing Fifth Test at the Oval the West Indies made 268 and had England 166/7, but the last three wickets added 363 runs and England won by an innings. In the County Championship Cowdrey's Kent moved up for the third year in a row to 4th place. There was no tour in 1966–67 and Cowdrey was not picked for the first four Tests of the summer, instead concentrating on Kent's chances in the County Championship. He was recalled for the Second Test against Pakistan, opening the innings, and made 14 and 2 not out in the 10 wicket victory. The Third Test at the Oval was won as well, but Close had been found guilty of time-wasting in a county match and accosting a spectator who complained of gamesmanship. He was fired as soon as the Test was won and the selectors announced that Cowdrey was to lead the MCC tour of the West Indies, although he disliked the politics and press attention. On a happier note Kent came second in the County Championship to Yorkshire and won their first one-day competition, the Gillette Cup final against Somerset in front of 20,000 fans at Lord's. Cowdrey won the toss and batted first, Kent making 193 with man of the match Mike Denness scoring 50 and Brian Luckhurst 54. Somerset were bowled out for 161 with Derek Underwood taking 3/41 for a 32 run victory. The tour got off to a bad start when they were outscored in the warm up match against the Barbados Colts, but Cowdrey made 139 against the West Indies Board President's XI, adding 249 with Geoff Boycott (135). They batted poorly against Trinidad and Tobago and Colin Milburn made 139 against the Trinidad Colts, but the fast bowler John Snow was ill and went into the First Test at the Port of Spain as underdogs. It was Cowdrey's 92nd Test, taking him past Godfrey Evans's record of 91 Test caps. He won the toss and made 72 batting at number three, followed by Ken Barrington (143) and vice-captain Tom Graveney (118) to be all out for 568. The West Indies were made to follow on after making 363, but drew the match with 243/8 in the second innings. Cowdrey made 107 when the MCC beat Jamaica by 174 runs and they went into the Second Test at Kingston with more confidence. He won the toss again and made 101 in England's 376 and forced the West Indies to follow on again when Snow's 7/49 dismissed them for 143. The West Indies were 204/5 on the day four and when Basil Butcher was caught behind off Basil D'Oliveira the crowd rioted and threw bottles onto the outfield. Cowdrey tried to calm the crowd without success and play was abandoned as the police used tear gas to restore order. Cowdrey and the manager Les Ames reluctantly agreed to resume play to help placate the crowd and an extra 75 minutes was added on the sixth day to make up for lost time. Sobers thought it wouldn't be needed as they had battled so badly, but the riot had unsettled the England team. The West Indian captain made 113 not out and was able to declare at 391/9, leaving England 190 to win on the extra day. Boycott and Cowdrey made ducks and English crashed to 43/4 at the end of day five and barely survived with 68/8 after the extra time on day six. Sobers took 3/33 and Lance Gibbs 3/11, which would have grave repercussions in the Fourth Test. Cowdrey took the next two matches off (which were drawn), but was with Fred Titmus when the off-spinner had four toes cut off by a boat propeller while swimming and drove him to the hospital for surgery, which enabled him to return to cricket after the tour. The Third Test at Bridgetown was a dull draw, with Sobers winning the toss and the West Indies making 349, followed by 449 from England with Boycott (146) and John Edrich (90) adding 172 for the 1st wicket. They returned to Port of Spain for the Fourth Test, Sobers won the toss again and his team made 526/7. England replied with 404, Cowdrey top-scoring with 148 and hitting 21 boundaries. The game looked doomed to another draw when Sobers suddenly declared at 92/2 on the fifth day, leaving England 215 runs to win in 165 minutes. Sobers disliked the thought of playing out five draws in a series and remembered the sudden English collapse in the Third Test which might give him a surprise victory. Though he needed Tom Graveney and Ken Barrington to overcome his natural inclination to safely they set about the runs with Boycott holding up one end with 80 not out and adding 118 in 75 minutes with Cowdrey (71) for a 7 wicket victory with three minutes to spare. Sobers was lambasted throughout the West Indies for his declaration and Cowdrey found him drinking alone in a bar that evening when he was usually surrounded by fans. For years afterwards West Indian captains such as Clive Lloyd and Viv Richards delayed declaring until defeat was impossible so as not to repeat the mistake. The MCC beat Guyana and England went into the Fifth Test at Bourda with a 1–0 lead. Sobers won the toss again and revived his reputation with an innings of 150, adding 250 with Rohan Kanhai (152) as the West Indies made 414. England made 371 with Boycott (116) and Cowdrey (59) adding 172, then England collapsed to 269/8 before Tony Lock (brought over from Western Australia to replace Titmus) struck 89. Sobers made 95 not out in the West Indies second innings of 264, and England needed 308 to win on the last day. They fell to 41/5, but the four-hour Kent partnership of 127 between Cowdrey (82) and Alan Knott (73 not out) saved the day and England drew the match with a nail-biting 206/9. The win assumed greater proportions over the following years as it would be 32 years before England won another series against the West Indies. Cowdrey finished with 534 runs (66.75), his most prolific Test series and the only one in which he exceeded 500 runs. Australia had held the Ashes since 1958–59 and Cowdrey was keen to return them to England, but he was frustrated by the damp summer. There was no excuse for the First Test at Old Trafford where Australia made 357 and England fell from 86/0 to 165 all out to the part-time off-spin of Bob Cowper (4/48) and lost by 159 runs, though Basil D'Oliveira made 87 not out in the second innings. The Second Test was the 200th between the two countries and Colin Milburn hammered 83 and Cowdrey 45 in England's 351/7 while Australia were hustled out for 78 after a freak hail storm whitened the ground. 15 hours were lost to the weather and after following on Australia salvaged a draw with 127/4. The Third Test at Edgbaston was Cowdrey's 100th, the first time that anyone had completed a century of Tests. He celebrated by making 104, using Boycott as a runner after straining his leg. He became the second batsman after Wally Hammond to make 7,000 Test runs, but England took 172.5 overs to make 409 and though Australia only made 222 the match was drawn. Both Cowdrey and the Australian captain Bill Lawry were unfit for the Fourth Test, which was drawn when England finished on 230/4 needing 326. Australia's 1–0 lead ensured that they held onto the Ashes, but Cowdrey went to the Fifth Test determined to at least even the series. As the ball was swinging at the Oval that season he wanted the bowlers Tom Cartwright and Barry Knight, but they were both unfit and the opener Roger Prideaux caught a virus of the eve of the Test. D'Oliveira was an all-rounder who could swing the ball so Cowdrey asked for him to cover both needs and he made a politically important 158 in England's 494. Australia made 325 and dismissed England for 181, but collapsed to 85/5 at lunch on the last day needing 352 to win when a deluge flooded the Oval. The players started packing their bags, but Cowdrey called on the crowd to help the groundstaff dry the ground. "Like a modern-day King Canute he rolled up his trousers, waded into the water...and supervised the mopping up operations of hundreds of volunteers", Derek Underwood took 7/50 and England won by 226 runs with six minutes to spare. Kent came second to Yorkshire again in the County Championship, winning more matches, but falling behind on bonus points. Basil D'Oliveira was a Cape Coloured who emigrated to England so he could play first class cricket from which he was banned in South Africa. When he was not included in the MCC team for South Africa after his match-winning century there was a press storm in what was known as the D'Oliveira affair. It appeared that he was omitted as he was unacceptable to the South African government, then at the height of apartheid. Cowdrey and the selectors maintained that he had not been chosen for purely cricketing reasons, but when Cartwright was declared unfit they brought in D'Oliveira, who was the first reserve. To President Vorster of South Africa it looked like the MCC was caving in to anti-apartheid pressure and he cancelled the tour. Cowdrey offered to fly to South Africa to mediate, but it would be 26 years before England next played South Africa. With the South African tour cancelled a new one was arranged to Ceylon and Pakistan, which was in political turmoil that resulted in the fall of President Ayub Khan and imposition of martial law by his successor General Yahya Khan. After a few easy-going matches in Ceylon the tour match against the West Pakistan Governor's XI saw play abandoned after 25 overs, there were no other tour matches and all the Tests were affected by political demonstrations against the military regime. In the First Test at Lahore Cowdrey won the toss and made exactly 100, his 22nd Test century to match Wally Hammond's England record. England made 309, dismissed Pakistan for 209 and Cowdrey declared the second innings at 225/9 to give them 326 to win, but Pakistan made 203/5 for a draw. Saeed Ahmed won the toss in the Second Test at Dacca in East Pakistan, soon to be Bangladesh, where there was rioting and gunfire around the team hotel. Pakistan made 246, which was matched by England's 274, thanks to D'Oliveira's 114 not out. Pakistan took 101 overs to make 196/5 and a token declaration left England to make 33/0. Cowdrey won the toss again in the Third Test at Karachi, but there were riots on the first two days by fans who wanted Hanif Mohammad as captain instead of Saeed. England piled up 502/7, with Colin Milburn making 139 and Tom Graveney 105, but the match was abandoned after demonstrators wrecked the stadium on the morning of the third day, leaving Alan Knott stranded on 96 not out. Cowdrey was not there to see it as he left on the second day after his father-in-law died, leaving Graveney in charge. The team followed on the third day, with manager Les Ames abandoning the Test and the rest of the tour to save the team. Cowdrey broke the Achilles tendon in his left heel three weeks into the 1969 season and he could not play until the last match in September. The veteran Yorkshire professional Ray Illingworth was his surprise replacement after only a month as captain of Leicestershire. He was chosen over his rivals Brian Close and Tom Graveney as he was not seen as a threat to Cowdrey's long-term captaincy due to his age and inability to establish a regular spot in the Test team. However, Illingworth made his maiden Test century in his second Test in charge, beat the West Indies and New Zealand 2–0 each and remained captain even when Cowdrey recovered. Kent suffered from his absence and fell to 10th in the County Championship, but Cowdrey was able to get some match practice in by touring the West Indies with the International Cavaliers and the Duke of Norfolk's XI. The South African tour was cancelled and as the cricketers needed practice against a top team before going to Australia, and to fill MCC coffers, a Rest of the World XI under Gary Sobers was organised from overseas cricketers playing for English counties. Cowdrey was still easing himself back into cricket when the First 'Test' was played and he was not selected, but played in the other four and made 1 and 64 in the Second, 0 and 71 in the Third, 1 and 0 in the Fourth and 73 and 31 in the Fifth, a total of 241 runs (30.13). England lost the series 4–1, but three of their defeats were close and they were playing the best team in the world. These were counted as Tests at the time, but the ICC subsequently disallowed them. 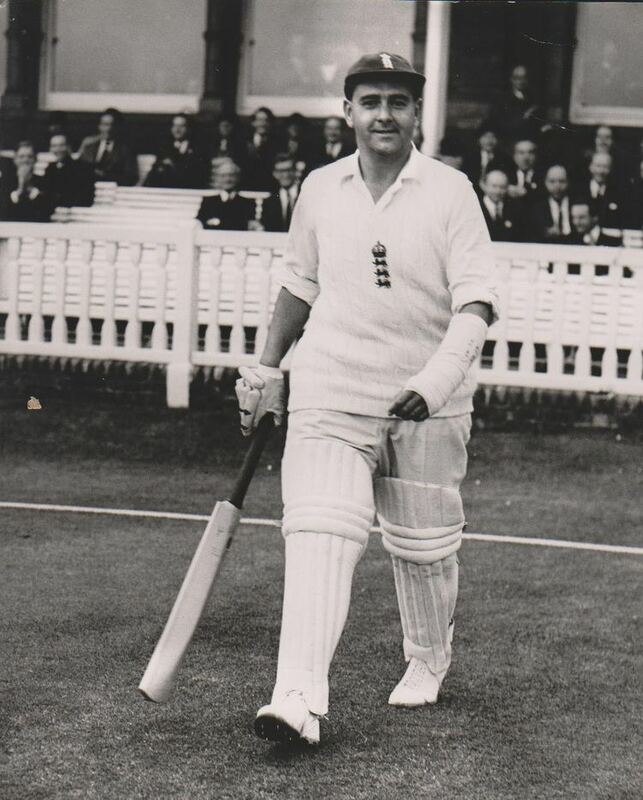 This meant that Cowdrey passed Wally Hammond's record of 7,249 Test runs when he made 71 at Trent Bridge to become the most prolific Test batsmen, and would do it again in Australia. Cowdrey's return to the England team fueled speculation that he was to resume the captaincy from Illingworth, but he did not and in the Third 'Test' he was told that his rival would be made captain for the Australian tour. He was willing to accompany him as a player, but had to think about being vice-captain again as he thought a younger man should be chosen. In the end he accepted in order to help his Kent team-mate David Clark with the administration. Cowdrey had other considerations in the summer of 1970, which was Kent County Cricket Club's Centenary. Kent had been 13th in the County Championship in his first year as captain in 1957, but had improved and were runners up in 1967 and 1968. The county has been short of funds throughout the 60s, but agreed to increase resources for extra staff for the 1970 season, which could only be justified by winning the County Championship for the first time since 1913. Apart from their energetic overseas player Asif Iqbal and the Scottish Mike Denness they had home-grown talent in the shape of Alan Knott, Derek Underwood, Bob Woolmer, Brian Luckhurst, and Alan Ealham. At the start of the season Edward Heath, Kent fan and leader of the Conservative Party, gave a speech at their dinner, saying that 1906 had seen Kent win their first County Championship alongside a change of government and they should do so again in 1970. In early July it appeared that he had jinxed both their chances with Heath behind in the polls in the General Election and Kent at the bottom of the championship table. The change came when Sussex defeated them in the Gillette Cup, giving them two rest days which Cowdrey used to hammer out their difficulties in a team meeting. They decided to chase bonus points and won 7 and drew 5 of their last 12 games, often by close margins and it was a draw at the Oval, where Cowdrey made 112, that gave them the title with the newly elected Prime Minister Heath at the ground to invite them to a reception at Number 10 to celebrate. I saw as my farewell to the major stage of cricket, and it would be dishonest to say I saw it sentimentally as an actor or an opera singer who wants to leave the stage with a memorable performance...I hoped to return to Australia for the fifth time, this time as England captain, and win the Ashes with the team I had built, nutured and encouraged. I was to learn, or course, that such romantic conceptions are not only born in the minds of fiction writers, but can die there as well. Cowdrey was made vice-captain for an Australian tour for the fourth time and Illingworth's tough no-nonsense approach to the game clashed with the MCC tour manager David Clark, who had been captain of Kent in Cowdrey's youth and had given him his county cap. As a result, Illingworth effectively took over the running of the tour with the support of the players and Clark's influence declined, as did that of Cowdrey, who as his only ally he became isolated, though he still had his Kent team-mates Derek Underwood, Alan Knott and Brian Luckhurst. The players tended to avoid the press and public, even to the point of having their meals in their hotel rooms, and only Cowdrey made an effort to meet and greet the cricket fans. The rotund Cowdrey was in the sunset of his career and failed on tour, making only one century – 101 against Victoria – which was so slow that he was likened to a beached whale. In the First Test he overtook Wally Hammond's record of 7,249 runs to become the most prolific Test batsmen, a record he held for a year when it was overtaken by Gary Sobers. Cowdrey made only 1 run in the inaugural One Day International at Melbourne and was dropped for the Fourth Test, had his cap stolen while fielding in the Fifth Test and was dropped again for the Sixth and Seventh Tests. Illingworth won an argumentative series 2–0 and regained the Ashes, but Cowdrey only made 82 runs (20.50) in the series. They carried on to New Zealand, Cowdrey missed the First Test and needed a runner to make 54 and 45 in the Second Test at Auckland, coming in at 63/4 in the second innings when New Zealand had a real chance of winning their first victory against England, but he added 76 with Alan Knott (96), and the danger was averted. Cowdrey played what he thought was his last Test against Pakistan at Edgbaston, making 14 and 34. He was now 38 and a serious bout of pneumonia meant he could not play for half the season, though his 15th year as Kent captain equalled Lord Harris's record and maded him the longest serving post-war captain in county cricket. His vice-captain and successor Mike Denness led Kent for most of the season; they fell to 4th in the County Championship and were the finalists in the Gillette Cup, but Cowdrey was unable to play and they lost to Lancashire by 24 runs. Cowdrey continued to play for Kent under Mike Denness (who succeeded Ray Illingworth as England captain in 1973) and the county continued its success. It came 2nd in the County Championship in 1972, 4th in 1973, but slipped to 10th in 1974, but won the John Player League in 1972 and 1973, the Benson and Hedges Cup in 1973 (Cowdrey hitting a cheeky 25 not out) and the Gillette Cup again in 1974, beating Lancashire by 4 wickets in the final. With his Test career seemingly over he was awarded the CBE by the Prime Minister Ted Heath in 1972. Cowdrey's great milestone was his 100th first class century, 100 not out against Surrey at Maidstone on 4 July 1974, after which he had a celebratory luncheon at Lords with ex-prime minister Sir Alec Douglas-Home as the guest speaker. My father toured Australia six times (in 1954/5, 1958/9, 1962/3, 1965/6, 1970/1 and 1974/5) with immense success, winning friends everywhere. You have probably seen a photograph of the banner hung at the MCG, that tribute to him from his Australian fans. People still talk of his hundred in Melbourne on his first tour, and his highest first-class score, 307 at Adelaide. Six times he toured, being good enough at 20 and good enough at 40. After the disastrous First Test in Brisbane the tour selectors sent back to London for the 41-year-old Cowdrey as a replacement batsmen. Cowdrey was highly regarded by the MCC team and in particular by Mike Denness, who had succeeded him as captain of Kent. In his 20-year Test career he had faced the Australian fast bowlers Keith Miller, Ray Lindwall, Alan Davidson, Ian Meckiff, Gordon Rorke and even the young Dennis Lillee. Although the Australian press was aghast at such a recall – Cowdrey had not played a Test in four years – the tourists were keen to have a man with the technique and strength of purpose to play the fastest of bowlers. He arrived in Perth with the wives of the MCC team after a 19-hour delay in Bombay, too late to play a practice match, and was called up for the Second Test two days after he arrived and with three hours in the nets. This was his sixth tour of Australia matching the record of the Lancashire spinner Johnny Briggs. Cowdrey walked to the crease to an ovation from the 16,000 crowd at the WACA, but not from Jeff Thomson. His greeting of "How good to meet you" was rebuffed with "That's not going to help you fatso, piss off." Cowdrey showed he had lost none of his timing and that his bat was as straight as ever until he was bowled behind his legs by Thomson (2/45) for 22. In the second innings he volunteered to open with David Lloyd instead of the badly bruised Brian Luckhurst. Cowdrey was dropped by Ian Redpath off Lillee, hit on the arm, survived a confident appeal by Rod Marsh before he was finally caught lbw by Thomson for 41, his highest score of the series. After the Second Test Cowdrey made 78 and took 2/27 against South Australia. Before the Third Test at Melbourne Frank Tyson recalled "Colin Cowdrey and John Edrich were unable to practice on Christmas Eve – mainly because of the drizzling rain but also because Cowdrey wanted to spend his birthday in comparative peace. Since both batsmen wanted to feel the ball on bat before the Test, I volunteered the use of the Hawthorn Indoor Cricket Centre, in which I was a partner, for a two-hour work-out on Christmas morning. It was quite a contrast to open the children's presents in the early hours and to open the bowling at the two English batsmen before lunch. My fifteen old son, Philip, thought the latter experience to be quite the best of his Christmas presents". He played his 114th and last Test at Melbourne, and opened the innings again as Lloyd was injured, but only made 7. Even so, England made 529 and won by an innings, with Cowdrey dismissing Rick McCosker for his 120th catch. He was given a warm farewell by his fans in "an impromptu little gathering on the outfield in front of the banner reading 'M.C.G. FANS THANK COLIN – 6 TOURS'. The central figure, wearing a large straw sun-hat, was signing endless autographs, posing for photographs and exchanging friendly talk with young and old in the way that has made him as popular a cricketer as has ever visited Australia". The South African tour of 1975 was cancelled and instead there was Prudential World Cup with the Australians staying on for a Test series afterwards. Their first first-class match after losing the Cup Final was against Kent and Cowdrey has already announced his retirement at the end of the season. Ian Chappell won the toss and declared on 415/8, Kent were out for 202 and Chappell was able to declare his second innings at 140/3 on the last day to set the hosts 354 to win. He was so confident of a win that he ordered a coach for 4 pm to take the team to Southampton for dinner before their next match against Hampshire, but Cowdrey struck 151 not out, Kent won by 4 wickets and the Australians didn't reach Southampton until midnight. It was first victory by Kent over Australia since 1899. Cowdrey was asked to captain the MCC against the Australians, but was dismissed for a pair by Lillee, though this did not stop speculation that he would replace Mike Denness as England captain. His 107th and last first-class century was 119 not out against Gloucestershire, but he returned next year for one more game against Surrey when Kent were short of players, making 25 and 15 and taking two catches. Kent, incidentally, went on to win the John Player League in 1976 and the County Championship in 1977–78. The matches between England and the Rest of the World in 1970 were initially counted as Tests and were included for Test statistics, but were subsequently excluded by the ICC. Cowdrey made 22 Test Centuries to match Wally Hammond's England record, subsequently equalled by Geoff Boycott and exceeded by Alastair Cook and Kevin Pietersen. Of the 22 Tests in which Cowdrey made a hundred England won 10, drew 11 and lost 1, when he made 105 against South Africa at Trent Bridge in 1965. Cowdrey was the first man to score a Test century against six different nations; Australia, South Africa, the West Indies, New Zealand, India and Pakistan, all the Test nations of his day, which he did both home and away. Following his retirement in 1976, Cowdrey worked closely behind the scenes at Kent, became President of the MCC in 1986 and was Chairman of the International Cricket Council from 1989–1993, when referees and neutral umpires were introduced to international cricket. He was named President of Kent County Cricket Club in 2000. He served on the board at House of Whitbread Frelims and Barclays Bank International and was a Member of the Council of the Winston Churchill Memorial Trust, a Member of the Council of The Cook Society (affiliate of Britain–Australia Society) and Patron of the Kent Branch of Alcoholics Anonymous. Lord Cowdrey died of a heart attack on 4 December 2000, aged 67, having suffered a stroke earlier that year. His memorial service at Westminster Abbey on 30 March 2001 was attended by many luminaries of the cricket world. He was the third and last sportsman to have a memorial service at the abbey, the others being Sir Frank Worrell and Bobby Moore. The tribute was given by John Major, who said "He left us too soon, but it was a gem of an innings. He lived life with a clear eye, a straight bat and a cover drive from heaven. He was a true Corinthian". He is buried in the churchyard of the tiny Pre-Conquest church of St Nicholas in Poling, West Sussex, the church that he attended regularly. The epitaph on his simple headstone was written by John Woodcock and reads "...some journey, some life, some coverdrive, some friend." His cover-drive was still his chief glory, but other shots were scarcely inferior: the glory of the moon and stars as opposed to the rich glory of the sun. There seemed to be no effort about his work. With a short back-swing he persuaded the ball through the gaps, guiding it with an iron hand inside the velvet glove which disguised his power and purpose. Cowdrey was a prodigy who learned to bat as soon as he could walk thanks to his cricket-mad father. When he arrived at Tonbridge School he was placed immediately in the First XI even though he was only 13, and became the youngest cricketer to play at Lord's. He was a fine strokemaker who possessed a full array of stokes around the wicket "a masterly batsman with an excellent technique he... delighted crowds throughout the world with his style and elegance". His favourite stroke was the most pleasing – the cover drive, his son Chris Cowdrey was always asked "Why don't you caress the ball through extra cover like your father?" and replied "If I could, I would". Cowdrey also liked to experiment with new grips and unconventional strokes, to the annoyance of purists who thought his technique was already near perfect and Cowdrey himself noted that "I have not been a good player when the going is easy... unless the match provided a problem to solve, a theory to test, a hurdle to leap, a challenge worthy of battle, I have never been fully plugged in". At the start of his career the England batting was fragile and Cowdrey never forgot that his wicket was too important to throw away, sometimes treating bowlers too cautiously for a man of his great talents, John Arlott commenting "Cowdrey could sink into pits of uncertainty when the fire ceased to burn, allowing himself to be dominated by bowlers inferior to him in skill". Cowdrey himself thought that "the proudest thing in my career was that I kept surviving", playing Lindwall and Miller at 21 and Lillee and Thomson at 41, still able to move immaculately into line even though he hadn't played for months. His quick reflexes also made him an outstanding slip, whose 120 catches was a Test record for a fielder. In his youth, Cowdrey was a useful leg-spinner at club level, but only took 63 first class wickets at a cost of 51.21 apiece. He claimed if Alan Knott hadn't misread a googly he would have picked up a Test wicket, though his son Chris wrote "I can't see Knotty losing sleep over that one". In Cowdrey's last Test at Melbourne the fans famously hung out a banner 'M.C.G. FANS THANK COLIN – 6 TOURS', with Cowdrey "wearing a large straw sun-hat ... signing endless autographs, posing for photographs and exchanging friendly talk with young and old in the way that has made him as popular a cricketer as has ever visited Australia". Cowdrey tended towards caution and drew 15 of his 27 Tests in command, but won eight Tests, lost only four (two each to Australia and the West Indies). For one reason or another he only captained England in two full series, against South Africa in 1960 and the West Indies in 1967–68, and won both. He was a shrewd cricket captain with years of experience; Tom Graveney thought him the best captain he served under, and Graveney played under every England captain from 1951 to 1969. In the field Cowdrey preferred to set the best field for his bowlers and stick to it rather than make constant changes. His greatest asset was the care he took over his players, always thanking bowlers after they had bowled a spell and batsmen when they returned to the pavilion. Though seen as Peter May's natural successor, Cowdrey failed to hold onto the England captaincy for any length of time as he suffered a number of inconvenient injuries. Gall-stones in 1962 gave the captaincy to Ted Dexter, a broken arm to Mike Smith in 1963 and a ruptured Achilles tendon to Ray Illingworth in 1969, and in each case the temporary replacement was retained after Cowdrey had recovered. It was a great disappointment to him that he never led the MCC tour of Australia despite six tours there, four times as vice-captain. After losing the First Test against Australia in 1968 he won 1 and drew 6 of the next 7 Tests, which Illingworth extended to a record run of 27 Tests without defeat until the last Test of 1971. Cowdrey is remembered for two victories in particular. The first was against the West Indies at Port of Spain in 1967–68 when Gary Sobers made a surprise declaration and set England 215 runs to win in 165 minutes. Although he needed Ken Barrington and other players to overcome their natural inclination to safety (England had collapsed to 68/8 in the Second Test) he went out and hit 71 runs in 75 minutes for a 7 wicket victory with three minutes left. It was the last time England beat the West Indies in a series for 32 years. The second was in 1968 when Australia were 85/5 needing 352 to win when a deluge flooded the Oval and the players started packing their bags. Cowdrey called on the crowd to help the staff dry the ground and "like a modern-day King Canute he rolled up his trousers, waded into the water...and supervised the mopping up operations of hundreds of volunteers". Derek Underwood took 7/50 and England won with 226 runs and six minutes to spare. Cowdrey won a rackets blue in his first term at Oxford. He was also a useful golfer playing off a six handicap and in his youth Harry Weetman wanted him to give up cricket for golf, saying he was good enough to play in the Ryder Cup. In late 1969 he won the Turnberry-B.O.A.C. Foursomes Tournament, in partnership with Brian Huggett. In 1970 he had a hole in one at the 195-yard first hole playing for the International Cavaliers against Caymanus Golf Club in Kingston, Jamaica. Cowdrey was made a Commander of the Order of the British Empire (CBE) in 1972, received a knighthood in 1992, and became a life peer as Baron Cowdrey of Tonbridge, of Tonbridge in the County of Kent in 1997, on the recommendation of outgoing Prime Minister John Major, to whom he had become a personal friend and confidant. Cowdrey was one of only two cricketers to be given a life peerage for their services to the game, the other being Learie Constantine in 1969. The MCC Spirit of Cricket Cowdrey Lecture was inaugurated in 2001 in memory of the late Lord Cowdrey, who with Ted Dexter was instrumental in the Spirit of Cricket being included as the Preamble to the 2000 Code of the Laws of Cricket. Famous cricket personalities share their own experience for the Spirit Of Cricket. The Hon Chris Cowdrey (born 1957), a cricketer who like his father became captain of Kent and England, married Christel Margareta Holste-Sande in 1988 with twin sons Fabian Cowdrey, who plays for Tonbridge and Kent, and Julius Lindahl Cowdrey who plays for Tonbridge and Sevenoaks Vine. When Chris Cowdrey bowled Kapil Dev with his fourth ball in Test cricket Colin Cowdrey was listening on the car radio and drove the wrong way down a one-way street, but a policeman let him off with a warning. The Hon Jeremy Colin Cowdrey (born 1960), a former investment banker and now film producer who made the film Summer in February based on the novel by Jonathan Smith, married Philippa Telford in 1989 with two sons, Robert and Charlie, and two daughters, Kate and Lara. Pippa Cowdrey died in 2009. The Hon Carolyn Susan Cowdrey (born 1961), married Alastair Keith with one son James and one daughter Lucy. The Hon Graham Cowdrey (born 1964), who played for Kent, married Maxine Juster 1993 and has two sons Michael and Alexander and one daughter Grace. Cowdrey met his second wife, Lady Anne Fitzalan-Howard, the eldest daughter of Bernard Fitzalan-Howard, 16th Duke of Norfolk, when her father managed the MCC tour of Australia in 1962-63. 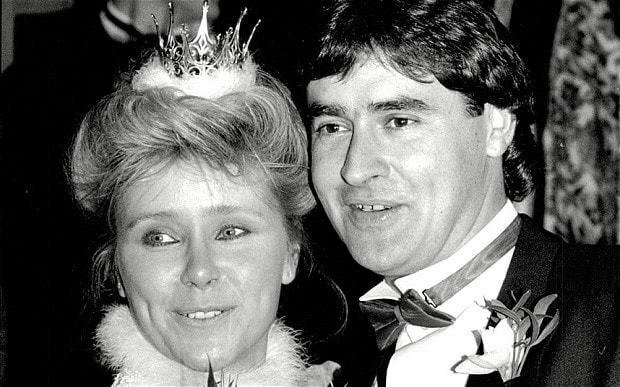 Cowdrey divorced Penny in 1985 and married Anne the same year. Anne had succeeded to the title of Lady Herries of Terregles in 1975 and when he was ennobled in 1997 she became also Baroness Cowdrey of Tonbridge (although as a peer in her own right she would not have used a courtesy title).